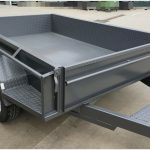 At Blue Star Trailers, we’re proud to offer a range of super-tough trailers that are made from top-quality, locally sourced steel. 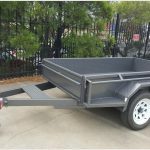 If you’re in need of an 8x5 tandem trailer that’s ideal for a number of different applications, we have you covered. 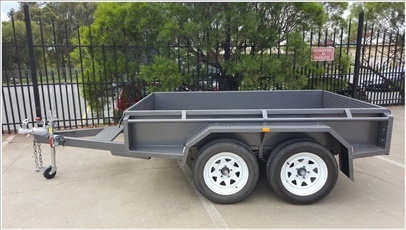 Our 8×5 tandem trailer also has optional extras available, including your choice of colour, ramp size, and new tyres and rims. 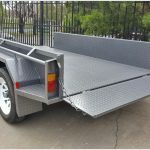 A structural warranty is also provided. 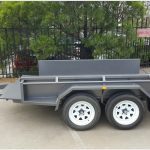 Whether you need an 8 x 5 tandem trailer with cage or you’re on the lookout for an 8 x 5 tandem trailer for sale, look no further than Blue Star Trailers. 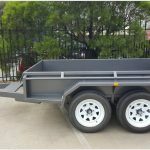 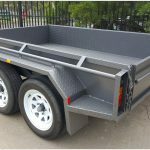 Call us today on (03) 9042 4390 to obtain more information on our great range of locally made trailers in Melbourne.